Want kids to focus? 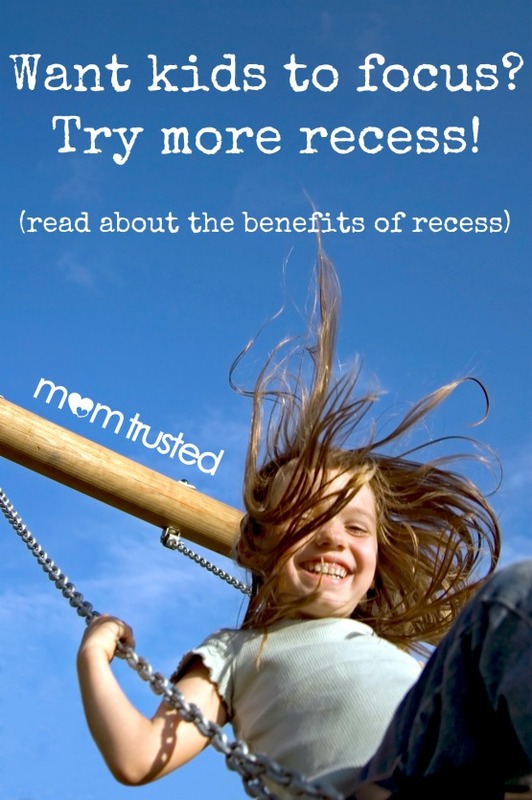 Try more recess! Behavioral problems, such as hyperactivity and a lack of attention, are frequent complaints by parents and teachers who struggle with getting their kids to focus. Unfortunately, the increasing concern with keeping up with academic standards has only complicated this issue due to schools being forced to cut recess in favor of spending more time on instruction. Yet, a recent program called LiiNK has been introduced to several elementary schools, and it has been showing that scheduling recess at school plays a vital role in kids being able to focus better once they are back in the classroom. When the LiiNK experiment was first introduced to teachers at Eagle Mountain Elementary in Fort Worth, they were nervous about it because the program involves giving kids four 15-minute breaks a day. This full hour of school recess is three times as much as they were receiving before. After five months of this experiment, however, teachers are reporting that the kids are less fidgety in the classroom, follow instructions better and are able to focus longer as they listen teacher instruction and work on personal projects. These positive changes are also extended to home as parents report that their kids are more creative and have less behavior problems all around. Giving kids more recess at school is based upon the basic concept that they must engage in physical activity to expel some of their boundless energy. Kids also learn through play and having the freedom to explore their outdoor environment independently can enable them to develop skills that transfer to the classroom. Leadership, creativity and problem solving skills are all vital personality traits that are developed through having additional time for recess, and the increased self-confidence kids gain through play encourages them to make greater strides toward their academic goals. Given that additional recess time costs nothing toward the budget and has demonstrated positive results, this simple experiment is easy to implement and will likely lead to success.